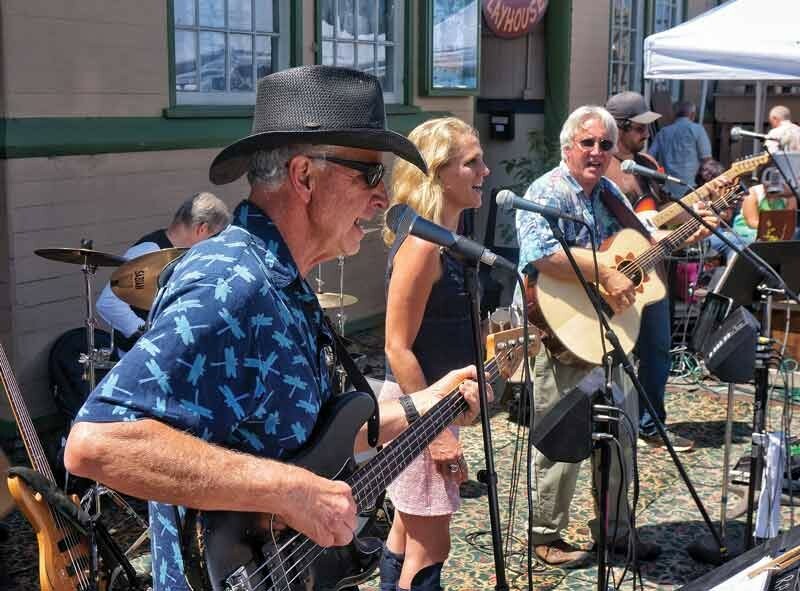 The country rock band Firesign plays in front OF the Arcata Playhouse for the monthly Creamery District Art Market on the last Saturday of the month, July 26. 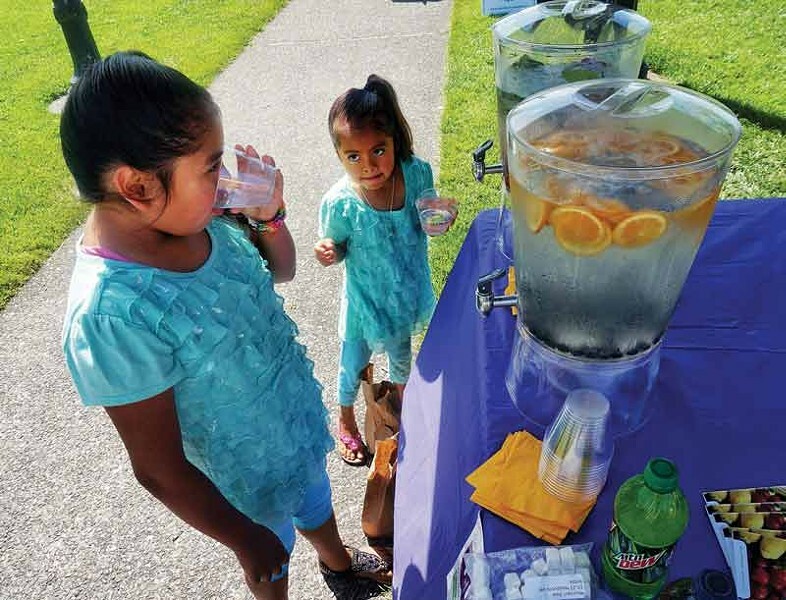 Azuanny and Cynthia guzman sample cool water flavored with fruit comparing it with sugary beverages in a booth for the WIC nutrition program at the Arcata Farmers' Market, Saturday, July 26. 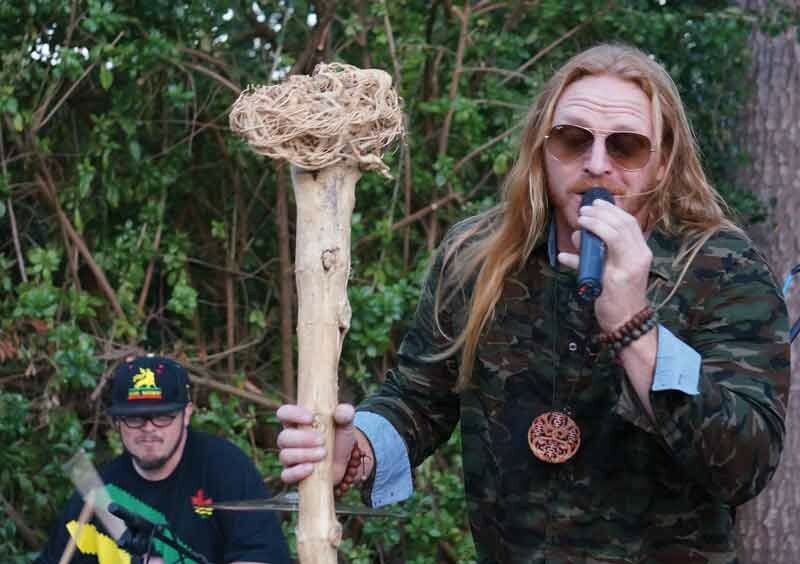 Lead vocalist Travis B. and drummer Tanasa Daniel of the Arcata reggae band Woven Roots, closing out the Blue Lake Music Festival Saturday evening, July 26.